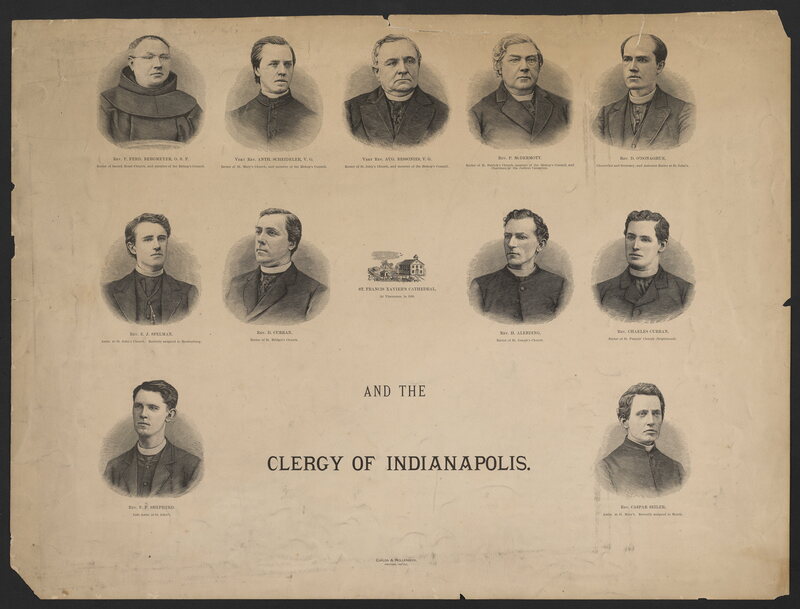 Diocese of Indianapolis (Ind.) --Catholic Church. Carlon and Hollenbeck., “St. Francis Xavier's Cathedral, at Vincennes, in 1838. 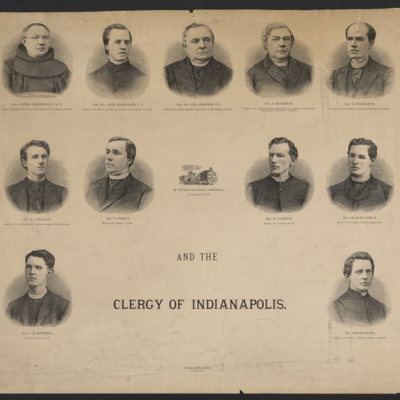 And the Clergy of Indianapolis.,” Catholic Historical Research Center Digital Collections, accessed April 18, 2019, https://omeka.chrc-phila.org/items/show/7348.